There are many ways to get involved with GRRIN! GRRIN was founded in 1991 and is a registered 501(c) (3) nonprofit organization. We provide a network for sheltering, rehabilitating and finding loving homes for Golden Retrievers in distress. In the last 25 years we have worked to place over 1200 dogs in wonderful “furever” homes. All of our work is carried out by volunteers who give their time to transport dogs, screen potential adopters, man our phone line, and open their homes to a foster dog that will ultimately be adopted by a loving family. Why does GRRIN need donors? The majority of our funds cover veterinary expenses. In 2016, our total dog expenses were $22,682, an average of $630 for the 36 dogs we fostered. 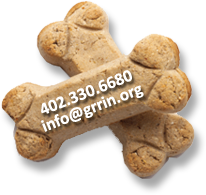 GRRIN was able to pay for spay and neuter procedures, testing and monthly medications for dogs with allergies, Addison’s and Cushing’s disease, along with treatment for dogs with heartworms, epilepsy, and thyroid imbalance. In addition, monthly heartworm and parasite prevention are administered to each foster dog along with annual vaccinations and a microchip. Eleven of our foster dogs were eight years of age and older, classified as seniors. We are extremely grateful to have the resources to care for these Golden oldies with loving foster homes and the ability to cover all of their medical expenses so they can live comfortably in their later years. Donations sent by mail are welcome! 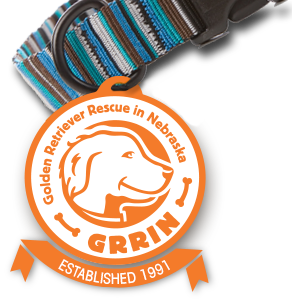 Our address is: Golden Retriever Rescue in Nebraska, PO Box 126, Boys Town, NE 68010.